So was that really summer? I know that we in the Northern Hemisphere technically have almost another month of summer, but as August ends, so too does so much we associate with this hot and happy season. I’m still wondering what happened to the heat! I though that the bird below was going to be the best bird of my weekend. 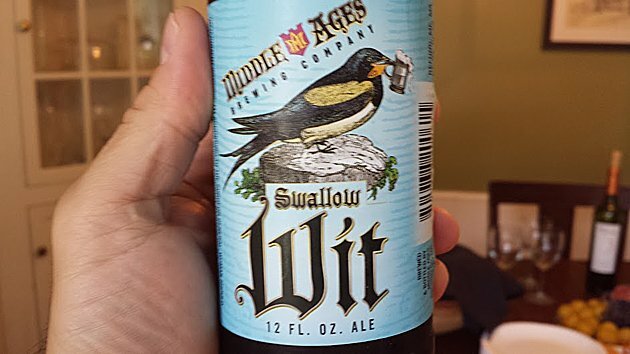 Luckily, as I enjoyed this beer and several others with friends, I spied a Chimney Swift fluttering aloft. I feared the swifts had already abandoned this area for parts south. Seeing one lets me hold on to summer for just a bit longer! 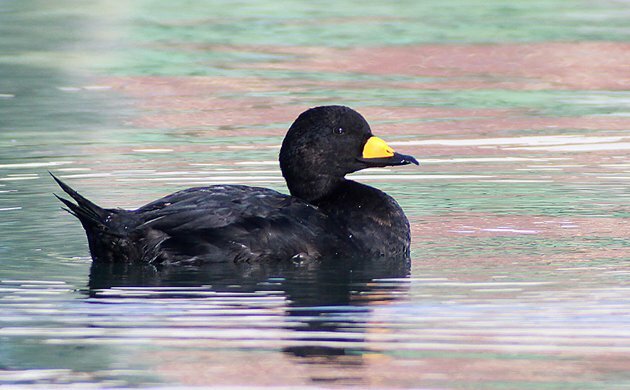 Corey’s Best Bird of the Weekend was an odd one for late August in New York State: a Black Scoter, one of an even dozen hanging out at the Coast Guard Station at Jones Beach State Park. The particular individual was very cooperative and even decided to float around in water that was reflecting some interesting colors from the building next to the water. Black-bellied Plovers. Hard to say why, but I always enjoy soaking up the sight of Black-bellied Plovers whenever I get the privilege. Sunday was one of those days. Go to http://www.mybirdoftheday.ca for more on them and other migrant shorebirds in recent days and weeks. Best bird was a little dull — calling Eastern Phoebe no doubt on its way south. *Both sightings at Rock Cut State Park in northwestern Illinois. That is one heck of a photo of a Black Scoter! I will have to keep an eye out for those Chimney Swifts- most seem to pass through Costa Rica on their way south. As for the weekend, my best bird was either a male Resplendent Quetzal (because it’s always hard not to name that as best bird) or crippling looks at a Bare-shanked Screech Owl, both seen in high elevation habitats of Turrialba Volcano. Red-necked Phalaropes coming through the San Francisco Bay in small numbers. Sanderling, posing very cooperatively about 20 feet away, filling the whole field of vision in my scope. My first ever Dartford Warbler within a scope’s view of my sister’s place in the New Forest.